Time to read. Read and learn. Read, learn and act. Time to find a new leadership book to read. I have read and still refer to a number of classic leadership books. Now though I am looking for something on the cutting edge that speaks to our present days and unclear tomorrows. My search brought me to an article at Fast Company that referred to one of those new, modern and hip books on leadership. 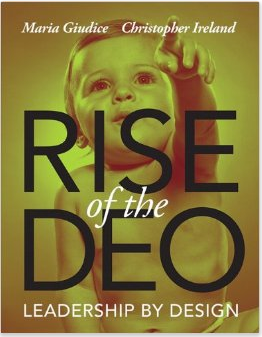 The title is Rise of the DEO: Leadership by Design. The two authors, Maria Giudice and Christopher Ireland make the compelling case for the top leader in an organization to be an active designer. One focused on building a culture from the inside out with plenty of creativity and collaboration. All the better … the book’s copyright is 2014. How much better can I get than a book from the future?! With solid reviews and great setup, I decided to buy and read this new leadership book. Ready to learn something new. And thus I began to read. Then things changed with an email. The note came from Author Chris Lowney. Chris tracked me down based on one of my posts concerning an article he wrote for the Harvard Business Review. You can read my post and find a link to Chris’s article here. Interesting man. Chris has lived as a Jesuit seminarian and then as a Managing Director at J.P. Morgan with posts around the world. 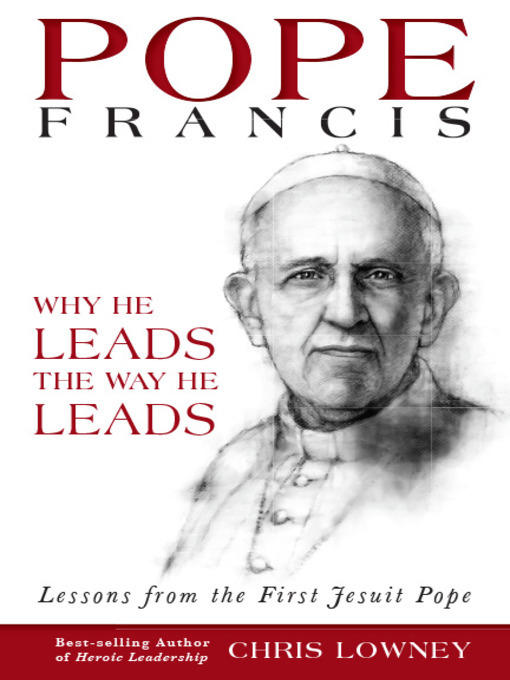 Later in life he became an author and through his email invited me to read the first chapter of his new book, Pope Francis: Why He Leads The Way He Leads. Once I read the first chapter I knew I needed to read the rest of this book, not later, but now. I set aside for another day my leadership book from the future to one that detailed leadership influences unchanged for hundreds of years, back to Ignatius of Loyola, a man who lived 500 years ago. I also remembered something that I repeated several times early in writing this blog. We have forgotten more than we have learned. Many of the answers we seek are not in front of us, they lie in our collective past and deep in our being. The news that the new Pope was not from Europe is huge. The news that he is a Jesuit is nearly beyond comprehension. For those aware of the history of the Catholic Church and specifically the Jesuit Order, it is a true shock to have a Jesuit as Pope. This book is very well written with such a compelling story of one man, following Ignatius himself, who detests personal ambition and a career focused on seeking high office. Yet, now he is Pope. His story and growth as a leader is fascinating and, as the author points out, the lessons apply to any of us in leadership positions. I set out to read. To read and learn. To read, learn and act. I may have found the right book at the right time. Time to act. On my way to Amazon. Thanks Michael. Happy Thanksgiving to you and your family. Happy Thanksgiving to you and yours as well. Do try the book – good stuff. Thanks for the tip! I will add to my wish list and read it soon….. Thanks for the visit and yes, I recommend the book. All the best.